Zonta Muntinlupa Club of Environs host their annual Bazaar called “PINOY ITO!” on October 17 and 18 from 8am to 8pm at the Cuenca Covered Court to help raise funds for their flagship project SAGIP (Saklolo at Gabay sa Ina at Pamilya). A center to empower women and children in marginalized areas, that is community and school based. 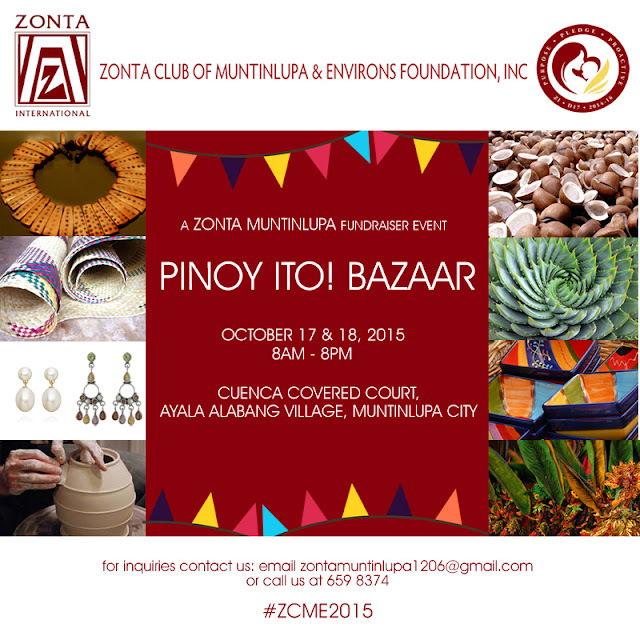 Also this bazaar supports the Tulong Dunong ng Zonta (TDZ) which is a scholarship program for high school girls. This year expect ethnic products and culinary delights from different provinces . Ready to wear fashion pieces and accessories by local designers. Hobbyist cooks sharing their gourmet cuisines. There will be outstanding lechon from Cabuyao, kakanin from Bulacan, fresh tinapa and carabao cheese from the visayas, fruits & organic vegetables from nearby provinces among other food finds. There is also entertainment from HMIG & the Cultural Club folk dancing from Muntinlupa and other contests for family and friends to participate in. During the event, watch out for fun activities during the weekend bazaar, such as the `White Elephant`, where items raffled off are donated by the members of the organization. The selection at the Bazaar can also be great finds for yourself, at home or even gift ideas this Christmas season. 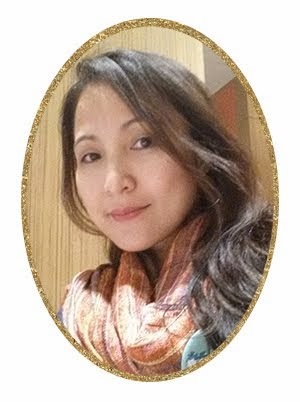 If you are interested to to know more, feel free to contact zontamuntinlupa1206@gmail.com or call 659 8374.